Please have a look at our Gallery pages to see what we’ve been doing. The DfE Vision is for all pupils to leave prlmary school physically literate and with the knowledge, skills and motivation necessary to equip them for a healthy, active lifestyle and lifelong participation in physical activity and sport. At Brookland Infant and Nursery School we attach great importance to physical activity and with the funding we are receiving from the government in the form of the PE and Sport Premium grant we aim to deliver high quality PE and give our children an opportunity to experience a wide range of sports. We encourage our children to lead active healthy lives. Our school is a member of the Association for Physical Education (afPE), the Youth Sport Trust (YST) and the Premier League Primary Stars. Every Year 1 and Year 2 class has timetabled PE sessions each week and every other week one of these sessions is delivered by our PE Specialist. A variety of activities are covered in PE sessions (please click link to our PE curriculum map above) including movement, gymnastics, dance, small and large apparatus and games. The aim is for children to become confident and gain increasing control over their body movements by improving co-ordination and agility. 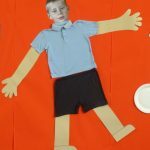 They explore the possibilities and limitations of their own bodies as well as learning about the importance of a healthy lifestyle and fitness. PE sessions take place in the Hall in Autumn and Spring terms and outside in the Summer (weather permitting). In the Summer Term parents are invited to a Sports Day. Reception and Nursery spend 50% of their day out of doors during ‘free flow play’ in our well equipped Early Years garden. They have access to a variety of activities outside including a large sandpit, mud kitchen, climbing apparatus, bikes. Every other week they have a PE session with our PE Specialist. Within 4 weeks, children who do The Daily Mile become fit. The 15 minute break from lessons is invigorating and leaves children more focused and ready to learn. The time spent outside, in almost all weathers, helps children become better engaged with the outdoors and aware of nature and the seasons. The Daily Mile is non-competitive, fully inclusive, and the children have fun! The Daily Mile is also a social occasion, and improves relationships, giving children the opportunity to talk to their peers and teachers in a way they might not in the classroom. The Daily Mile builds teamwork and leadership skills, with children helping and encouraging their peers. Children bring the benefits home, eating and sleeping better and encouraging their families to get active together. The Daily Mile builds self-esteem and confidence, improving children’s perception of exercise for life, and enabling them to take responsibility for their own health. The Daily Mile is critical to reducing childhood inactivity and obesity. Children are getting fatter, younger, and we need to stop this in its tracks. Early scientific studies show that the level of obesity at St Ninians School is around 45% less than the national average.